Warring clans, formidable fortresses and samurai warlords laying down their lives for their people – Odawara is a city that has seen it all. 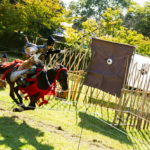 Today, you can experience the sense of adventure of the samurai without meeting a violent end by visiting Tokyo’s closest castle town. Situated between the Hakone mountains and the Pacific Ocean, visitors are drawn to Odawara for its impressive castle and fascinating history. Once there, expect to be won over by its attractive shopping streets, beautiful castle park and warm atmosphere. Odawara’s famous Odawara Castle in summer. Photo: JNTO. As far back as the Kamakura era (1185–1333), Odawara was a local political center, thanks partly to its tactically advantageous location. A castle was built on the hill in mid-15th Century, and the city became an economic and cultural hub. During the Sengoku period (1467–1600), when Japan was almost constantly in a state of civil war, the castle surrendered to the notorious feudal lord Toyotomi Hideyoshi after a three-month siege, despite its strong defenses. Remnants of this tumultuous military history can still be found across both the castle and the town today, which is part of what makes Odawara such an interesting day out. 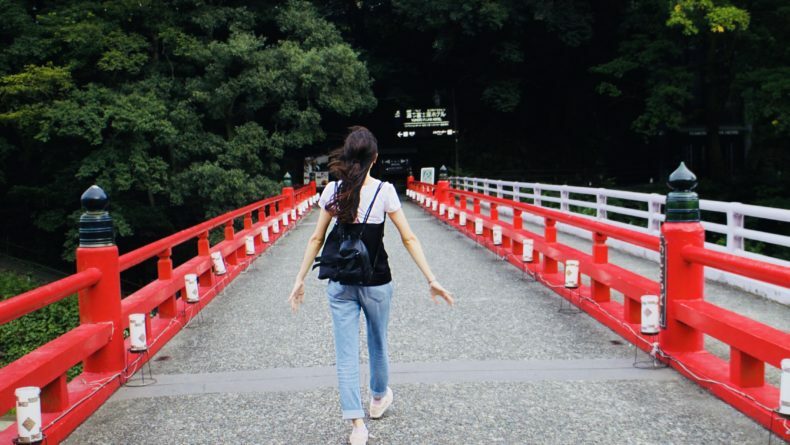 Today, as, I recently came to learn, Odawara is a peaceful sightseeing paradise. I was recently invited to take part in a day tour around the city organized by Ellista Local Tours, which offered a fun and informative tour of Odawara and gives you insights that you would simply not get on your own. The tour begins at Odawara station with some local street food. 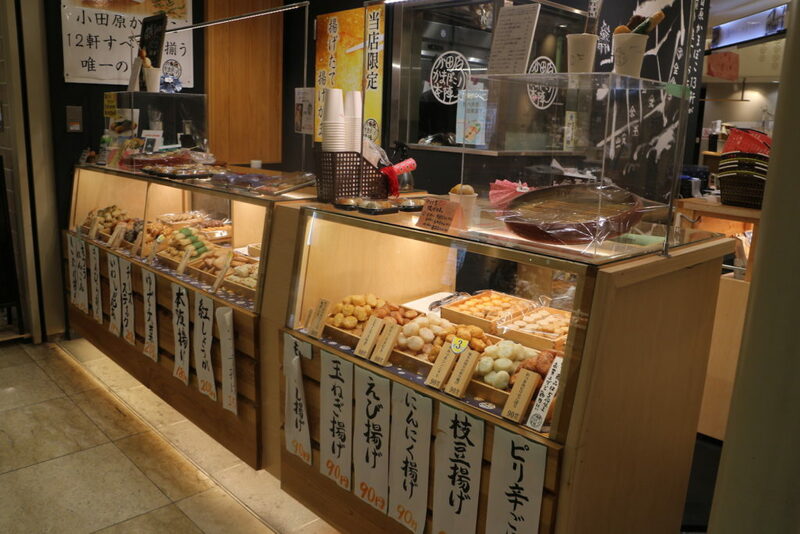 As a seaside town, Odawara takes pride in its seafood and so the ebi-age comes recommended. Odawara’s famed ebi-age, deep-fried shrimp paste. 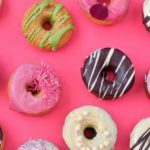 The area around the station is defined by charming traditional shopping streets, filled with little details that give the neighborhood a distinctive color. Higashidori Shopping Street located just outside Odawara station is a great place to shop for souvenirs and more. 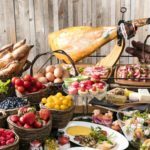 There are a number of great diners and cafes, too. Underneath a Victorian style lamp post, a mural depicts the now much-diminished Odawara amusement park, complete with a teacup from a ride that closed in the Showa era. A small detour takes the tour to the grave of Hojo Ujiteru, a samurai who was defeated at the siege of Odawara and committed seppuku. Because his ritual suicide prevented civilian casualties, his sacrifice was seen as heroic by the people of Odawara and they still remember him today by hanging bells on his grave, which tour participants can do, if they wish. 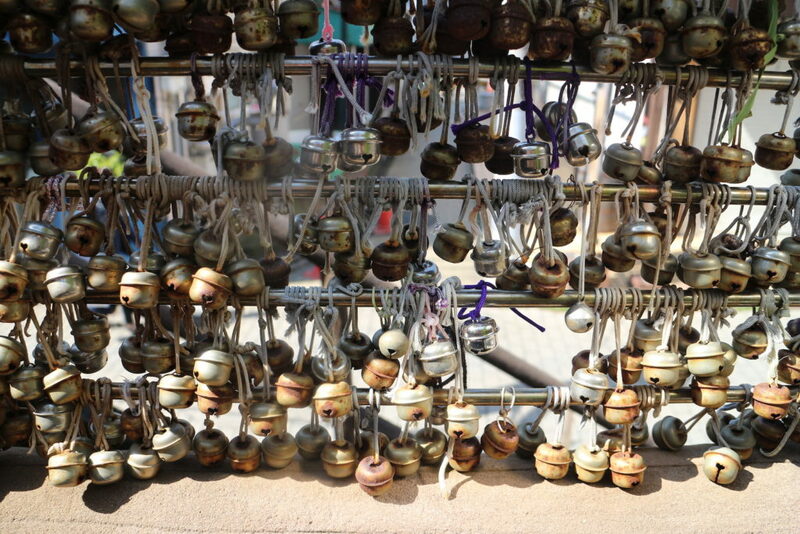 The hanging bells near Hojo Ujiteru’s grave are a popular sightseeing attraction today. From there, the tour takes you to Ohoribata-dori (Moat Street) where the original castle moat is preserved from the 15th century. 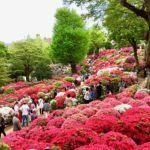 This street has been selected one of the 100 Most Beautiful Sakura Sightseeing Scenes in Japan, so go in spring for the opportunity to take some gorgeous shots. The knowledgeable tour guides choose an approach to the castle that mirrors that of the besieging armies during the Sengoku period. Passing through the castle’s various courtyards really brings to life how it was defended during its time as a military stronghold. Especially memorable are the gruesome ishiotoshi – openings over an inner gate where defenders would drop stones on the heads of invading soldiers. 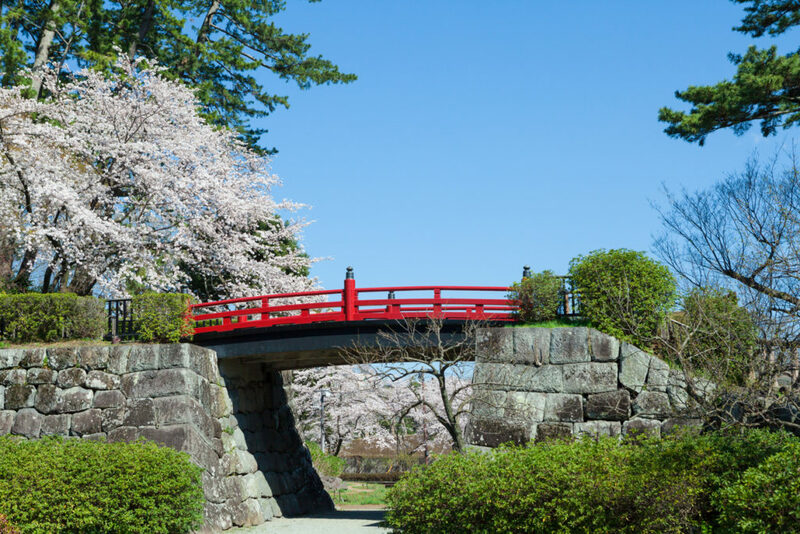 Despite its violent past, today the Odawara castle grounds are serene, full of beautiful green spaces and known for floral displays in the spring and summer. 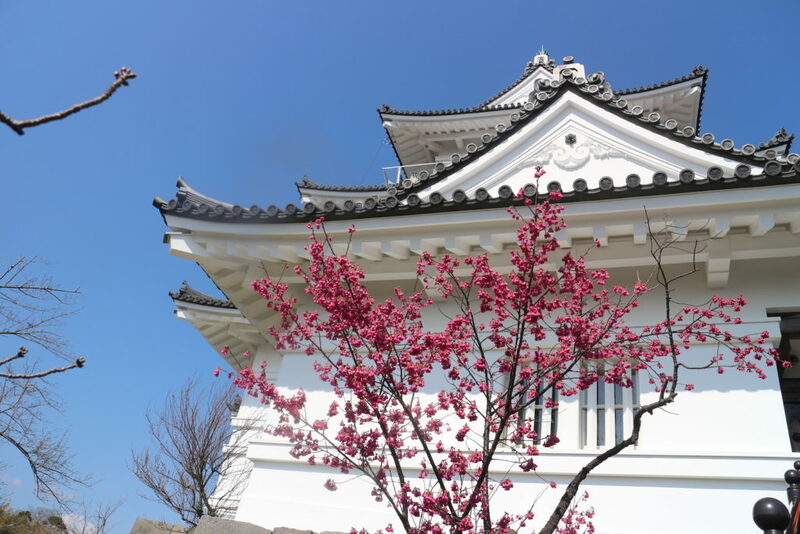 The Odawara Castle in spring. In front of the castle lies the small Tokiwagimon Samurai Museum, jam-packed with artifacts and an exquisite collection of genuine samurai swords. The exhibits emphasize that the sword was an object of artistic value as well as a weapon, and also feature samurai armor and sculpture. Don’t miss Hana Utsu Yoroi, a stylish and moving projection mapping show lasting five minutes that depicts a departed warrior’s soul that comes to reside in a suit of armor. 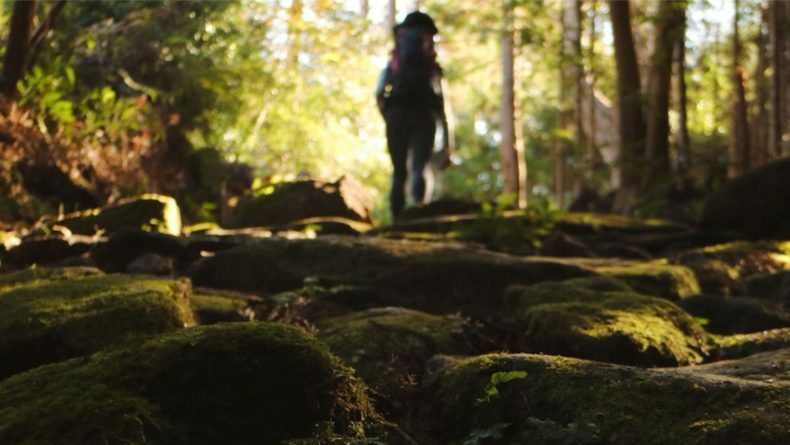 Expect to be won over by [Odawara’s] attractive shopping streets, beautiful castle park and warm atmosphere. 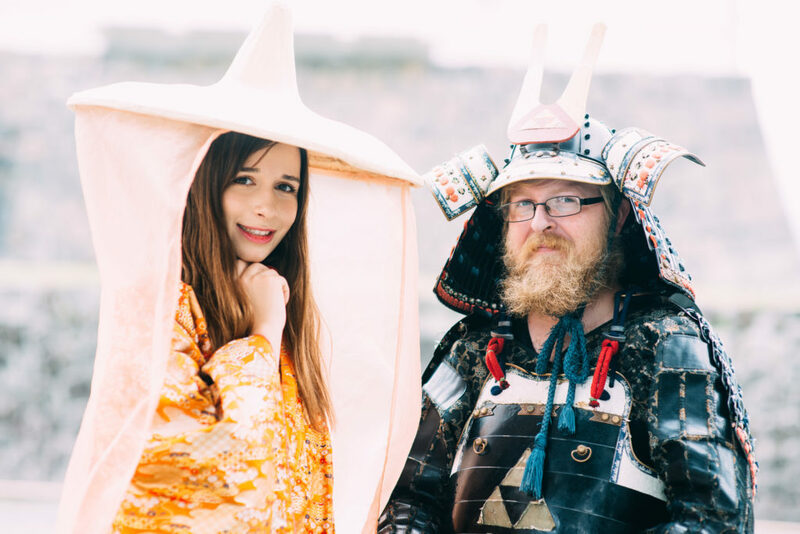 For those who want to learn about samurai in a more hands-on way, Odawara offers another option: dressing up in samurai armor, or as a ninja or princess. In Odawara, you can dress up in samurai armor, or as a ninja or princess. With the magnificent view of Odawara castle keep as your backdrop, you’ll have the opportunity to take some amazing shots. The armor and costumes are all handmade by friendly and skilled craftsman Mr. Yoshimoto, who has lived in Odawara all his life. He enjoys sharing special moments with those who choose to dress up. “One of the best things about wearing the armor is that you can experience a different perspective and through this, you may want to learn more about samurai and ninja,” he comments. 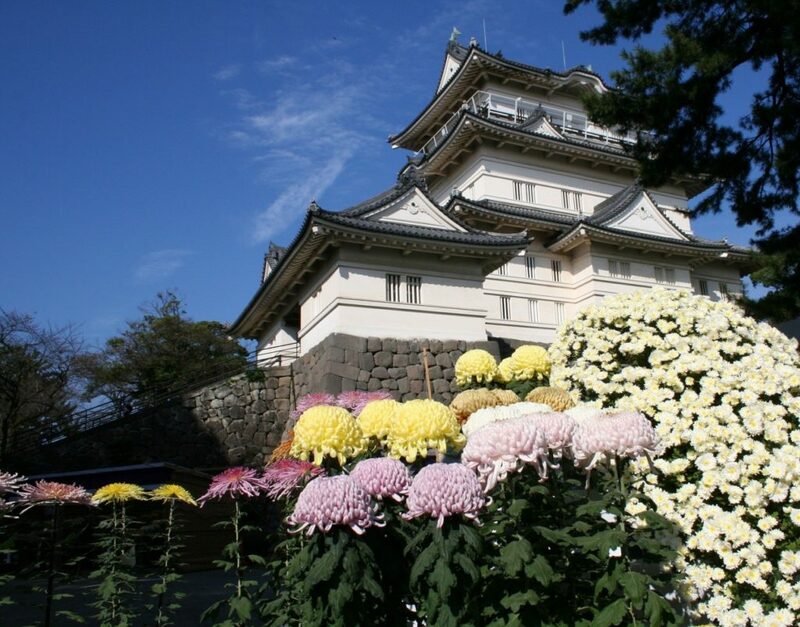 But more than anything else in Odawara, its landmark, the Odawara Castle, is what many tourists find to be of their greatest interest. 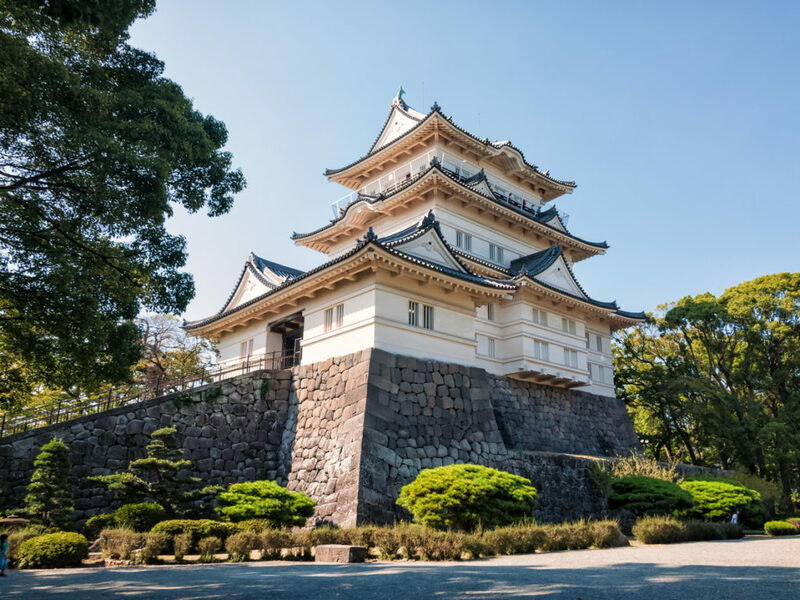 The three-tiered, five-storied castle keep, like many castles in Japan, has been rebuilt multiple times since the castle was founded in the 15th century, but it remains impressive despite being a reconstruction. The guided portion of the Ellista tour ends in the photogenic space outside the keep, allowing you to take photos at your leisure. The tour ticket price, however, does include entry into the keep itself. It stands at 60m tall and the top floor boasts a gorgeous panoramic view of the town, surrounding mountains and the Boso peninsula. The four floors inside the keep feature exhibits on the history of the castle. An easy ride on Odakyu’s Romancecar will take you to Odawara in a bit over an hour from Shinjuku. 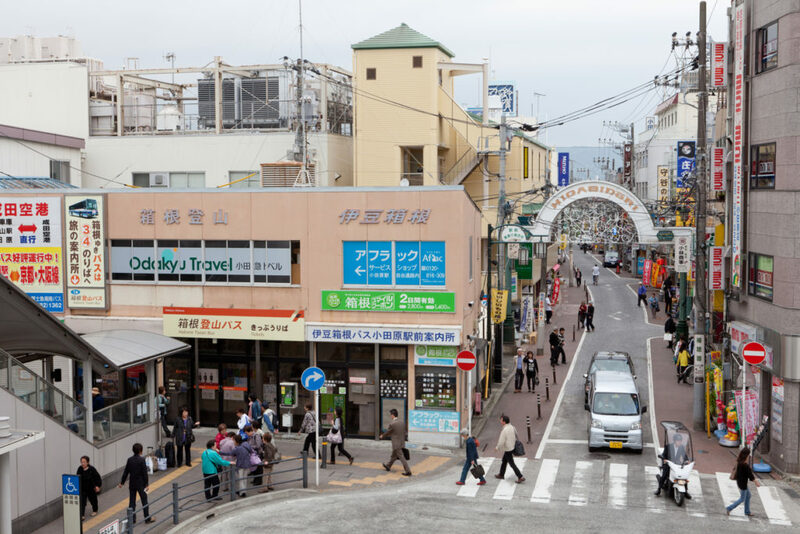 Odawara is easily accessible from Tokyo, with multiple options depending on how much time or money you have. 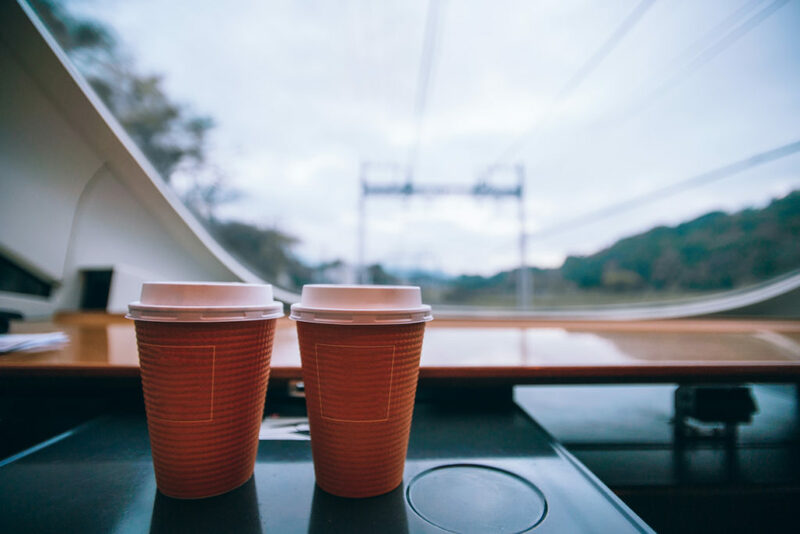 From Shinjuku Station, a local train will get you there in 1 hour 30 mins for ¥874, and the Odakyu Romancecar takes 1 hour 15, for ¥1,764, with the added perks of reserved seats and traveling comforts. Ellista Local Tours runs tours of Odawara every Monday, Tuesday and Wednesday for ¥5,000 per person (children under 6 go free). 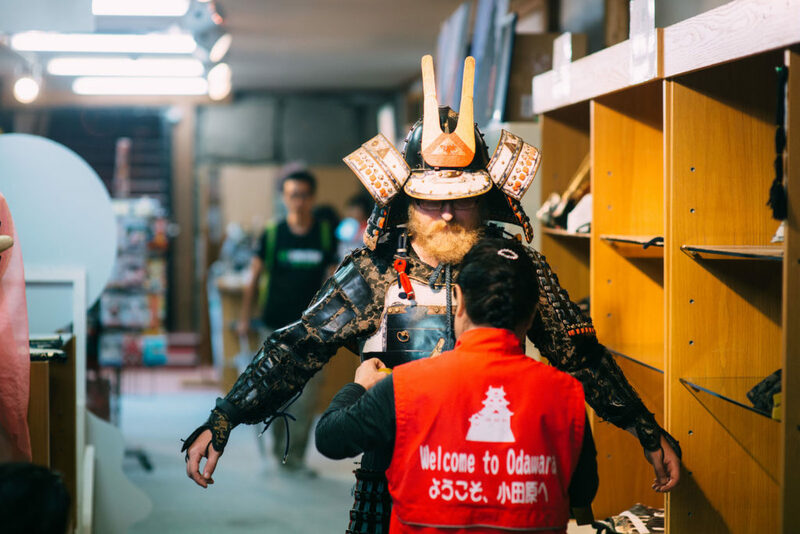 Fee includes a historical walking tour of Odawara town in English, entrance into Tokiwagimon Samurai Museum, samurai costume experience, entrance to Odawara castle keep, and three kamaboko fishcakes. Make your reservation at least two days in advance. 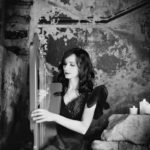 For more information, or to book, see here. 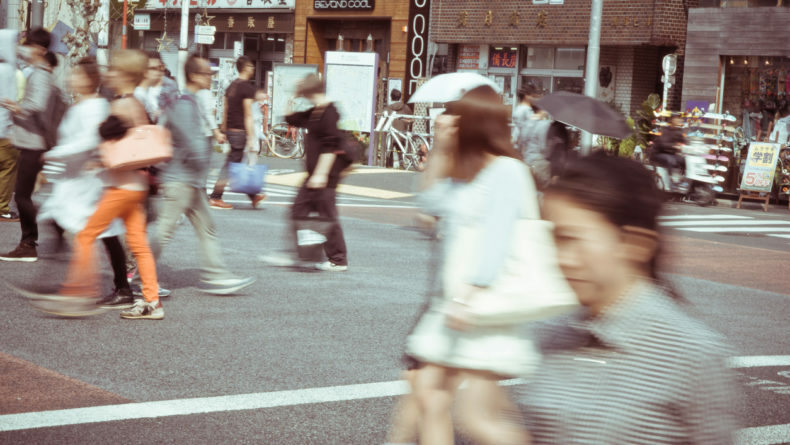 From art galleries to vintage shopping and artisanal coffee shops, Harajuku is an area to truly get lost in. 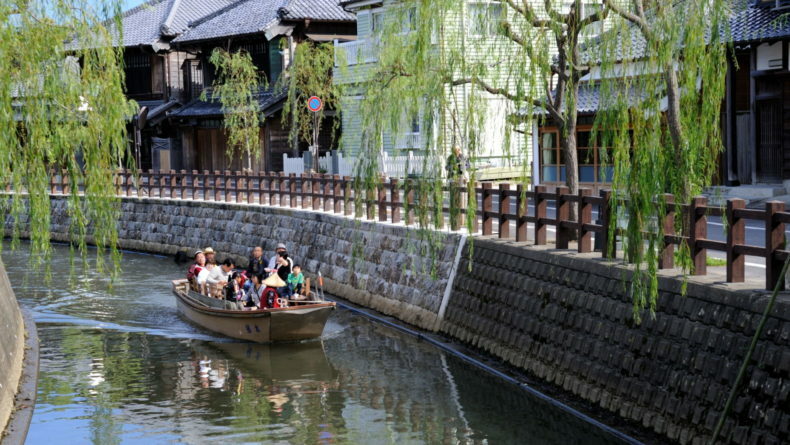 The traditional streets and shops of Sawara are a great place to get that Edo feeling.